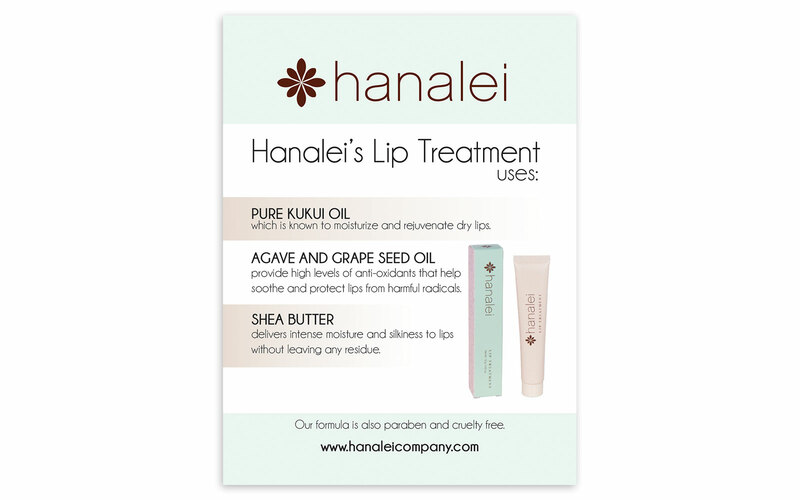 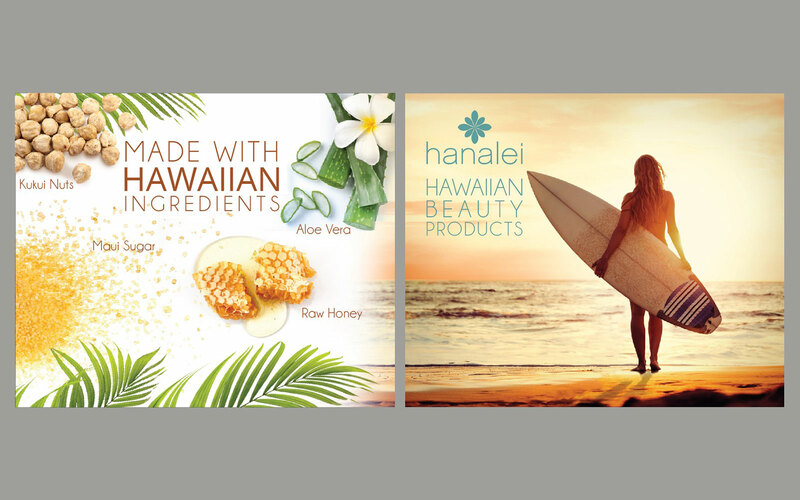 Hanalei Company look book was a pitch deck for investors. 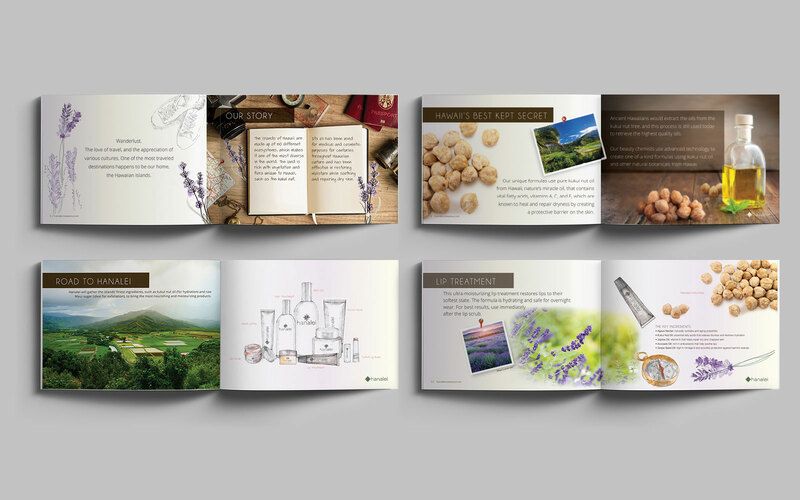 The look book was created to have a theme of travel, nature and exotic ingredients. 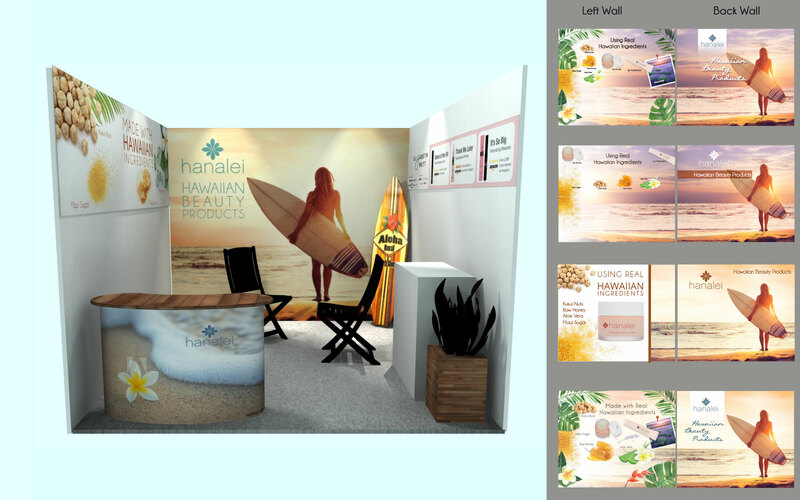 The booth was designed to maximize exposure but also fit into a specific budget. 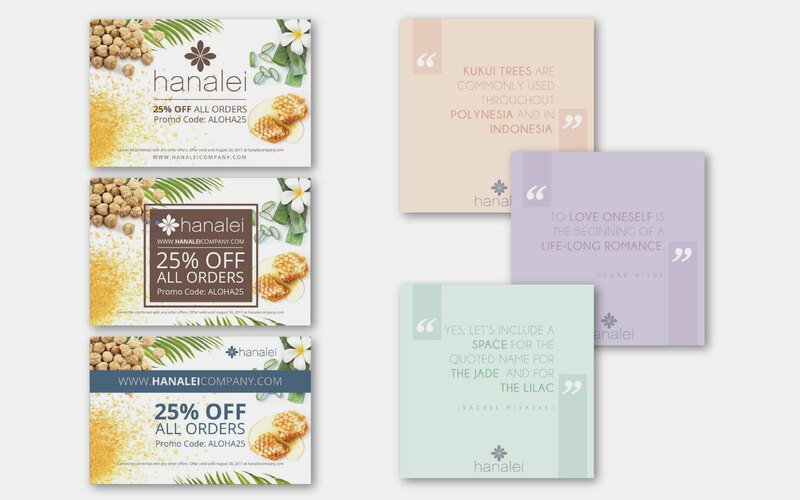 Print marketing materials, such as advertisements and post cards. 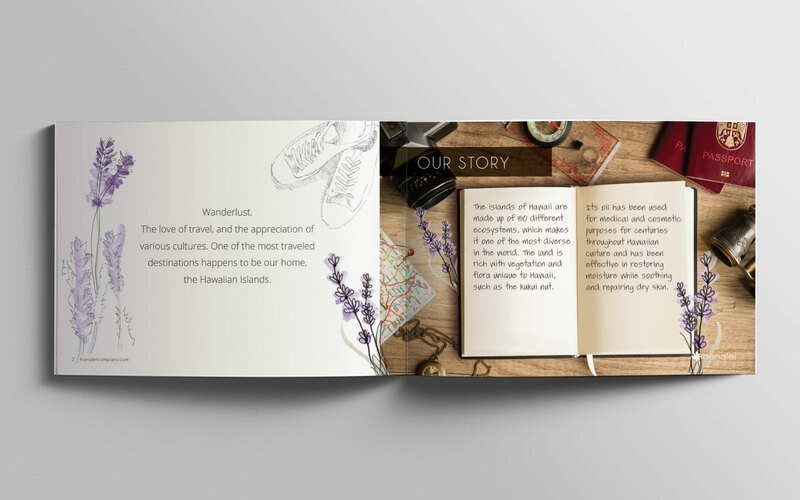 Web marketing materials, such as social media contents.